Pretty Carbon: Tell me about it, Stud. Lately, our German lessons have consisted of a mini snooker table, our teacher singing kinda morbid German nursery rhymes and Hercules. 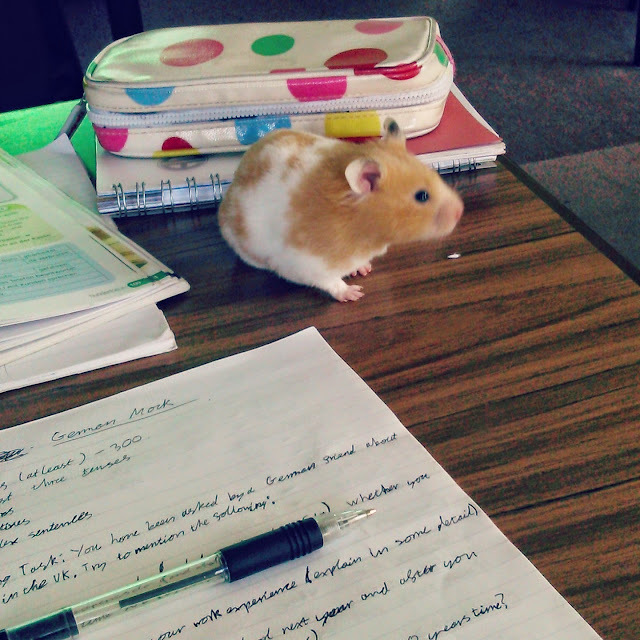 She's (yes, she) is our German teachers pet hamster who she keeps in stationary cupboard (she's actually called honey but we decided that was boring). Having a hamster crawl around on the table is actually quite relaxing and surprisingly makes me work better. I mean yeah you have to make sure she does eat your vocab books or commit suicide and fall off the table but she's not too bad to have around. I'm trying to convince my mum to let me get a hamster/terrapin/other small pet to keep me company and help me with revision. As I'm a very introverted, antisocial, just and awkward lemon tbh; animals are like a convenient substitute for people. On Friday I went to see Of Mice and Men (the play) in Birmingham on a school trip. Of course, I left my phone of the bus so couldn't take any pictures of the actual theater. They used a live band for the music which consisted of mandolins, drums, acoustic guitars and other southerny sounding instruments. Bus journey was a laugh with the lads (don't think the teacher enjoyed our Fratellis rave though). Last night I had a party which had a TV/film theme. 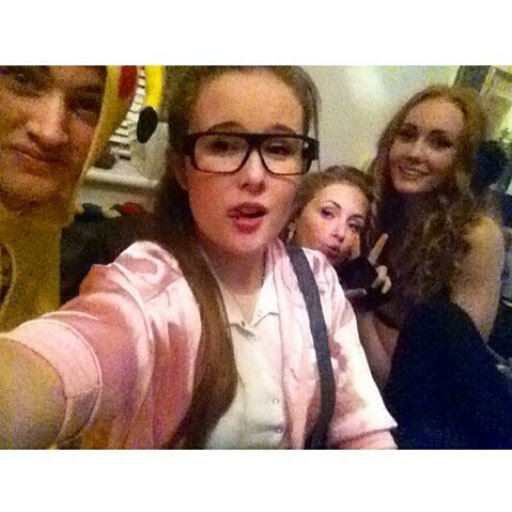 I didn't get many photos but I went as Sandy from Grease (from the last scene though). I met some really nice new people, including Mindy who was my pink lady!